TORONTO -- Ontario is launching a legal battle against the federal government over its carbon tax plan, a costly move critics say has little chance of succeeding. Environment Minister Rod Phillips and Attorney General Caroline Mulroney made the announcement Thursday, saying they received a clear mandate during the spring election to fight the federal tax for provinces that don't have their own carbon pricing system. Mulroney would not say whether she thought the province could win but denied the legal challenge was simply a gesture meant to appease Progressive Conservative supporters. "It's not symbolic for the people of Ontario who want us to do everything that we can to stop the federal Liberals from imposing this tax on them ... it's what we were elected to do," she said. The ministers said the constitutional challenge is in addition to Premier Doug Ford's decision to join a similar legal battle launched by Saskatchewan. Asked whether the province was spending money on duplicate efforts, Phillips said he believes Ontario's arguments would be slightly different from its Prairie peer's. Saskatchewan Premier Scott Moe, meanwhile, said in a statement Thursday that his government would "strongly consider" joining Ontario's challenge. Ford vowed to fight Ottawa's carbon pricing plan and eliminate Ontario's cap-and-trade system during the spring election campaign. His government has since introduced legislation to scrap cap and trade and cancel programs financed through its revenues, which include rebates for energy-efficient renovations, transit projects and a fund for school repairs. The Tory election platform had budgeted $30 million for a carbon tax court challenge, and Mulroney said Thursday she believes it will cost less. The federal carbon tax is scheduled to kick in on Jan. 1 and experts say the court cases targeting it will not be resolved before that deadline. 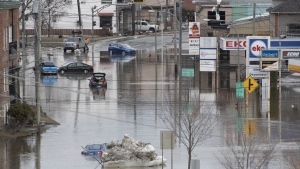 But they say the timing of the challenges could make it inconvenient for the federal government to impose its plan over the provinces' objections. "They might be making it more politically contentious for the federal government to move (on this) in a year where they're hoping to win an election and to secure strong support the Toronto-Hamilton region in particular," said Queen's University professor Kathy Brock, who specializes in issues around federalism. While it's impossible to predict how the courts will rule, Brock said the Supreme Court has emphasized in several recent cases the need for the federal and provincial governments to work together. Legal advice requested by the government of Manitoba noted there was a "strong likelihood" the Supreme Court would uphold Ottawa's carbon pricing system on the basis of the federal government's taxation power. Allan Hutchinson, a constitutional law expert and professor at York University's Osgoode Hall law school, said the Supreme Court has ruled that both the federal and provincial governments have jurisdiction over the environment but "the feds sort of hold the trump card." Because environmental issues and pollution can't be contained by provincial borders, Ottawa can argue it has to act on the national scale and "the courts have been sympathetic to that," he said. Hutchinson said often governments will file these kinds of challenges for political, rather than legal, reasons. "They let the courts do the dirty work and then say, 'hey, we did all we could,' knowing in the first place they were never going to succeed," he said. 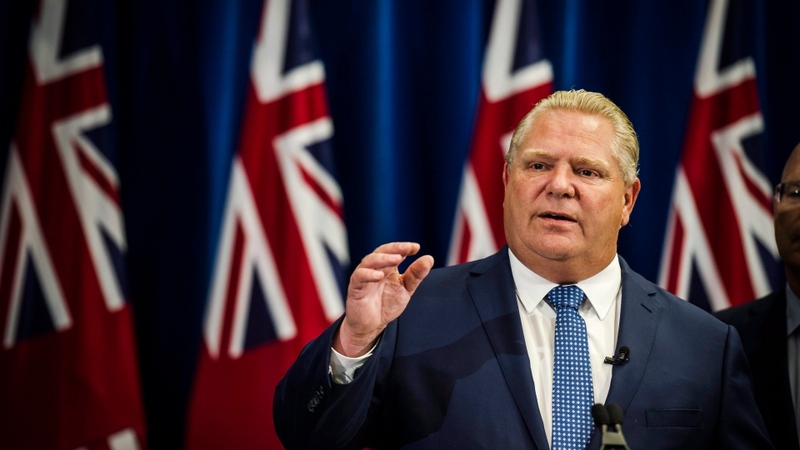 The premier's provincial opponents, meanwhile, condemned Ford's decision to turn to the courts in the carbon pricing fight, as did the federal government. At an event in Winnipeg, federal Environment Minister Catherine McKenna said she was disappointed Ontario was spending millions of taxpayer dollars to fight climate leadership. McKenna also took to Twitter to criticize the province's move. "It's now absolutely clear, the Ford gov't -- like the Scheer & Harper Conservatives -- has no climate plan. Climate change doesn't stop with a change in government. And in 2018, no climate plan = no plan for the economy. Our kids deserve better," she wrote. Ontario's New Democrats said the Ford government was acting on a "double standard" by bristling at federal interference on carbon pricing while, in a separate but ongoing matter, imposing its will on the City of Toronto with legislation to cut city council by 22 seats months from a municipal election. "I find it quite ironic that we have a government that is now suing the federal government apparently for implementation of a carbon tax, which they have a right to do. But then they're going around and taking the rights away from Toronto," NDP Leader Andrea Horwath said. "They're trying to say that the federal government can't take their rights away yet their taking the rights of Torontonians away." Interim Liberal Leader John Fraser questioned the government's decision to spend taxpayer dollars on what he called a "fruitless exercise," given the Tories' insistence on fiscal responsibility. "If they're really serious about protecting the taxpayers' money then they shouldn't be spending that money and I think the minister knows it, both ministers," he said. That sentiment was echoed by Green Party Leader Mike Schreiner. "Premier Ford would rather spend money on lawyers than repairing schools, helping people save money by saving energy or helping hospitals lower their utility bills," he said. "This is a frivolous lawsuit that has no hope of winning and it's a complete waste of taxpayer dollars." With files from Mia Rabson and Alanna Rizza. Attorney General Caroline Mulroney announces that the Ont. provincial government will be moving forward with a constitutional challenge to a federal plan to impose a carbon tax on provinces.